So for the sake of this example lets just say that you are a Forex money manager who has 20 clients and you manage all these accounts to make money for them. So instead of executing and managing trades on each of those 20 accounts, you can do this only on a single MT4 account and that may be located on multiple devices for your convenience. But the purpose of this video is not to discuss why you need to copy those trades, but to illustrate that this can be done from any Android or Apple mobile device that can run MT4 Mobile App and you can get this app from the app store. At the moment MT4 Mobile app is available on an iPhone, iPad and Android devices. You can trade Forex in those devices from anywhere in the world any time you need it. And all your trading actions can be replicated to other MT4 accounts, in this example accounts of your clients. You just need to set all this up correctly and that is what I am going to explain you right now. We will call this a Trade Copying Campaign and what we will be looking at on the screen right now is the concept of Forex copy trading with the Local Trade Copier on an MT4 platform. We will be looking at the big picture of how all of this works so you could understand it and eventually you will learn how to copy trades from your MT4 Mobile app or just a regular MT4 account to other MT4 accounts. Then you can use this knowledge to become a Forex money manager or just simply get the benefits of copy trading. A lot of traders do not understand how all of this work and they usually have lots of questions. 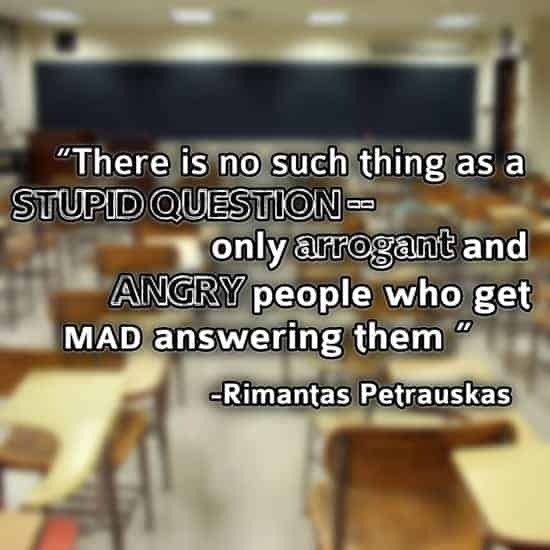 But often people are afraid to ask questions because they think their questions are stupid. They think others will find them silly asking such questions. So hopefully I will solve this problem with my explanation in this video and answer most of your questions on this topic. And remember, there is no such thing as a stupid question–only arrogant and angry people who get mad answering them. The first mistake that people make when they want to copy trades from MT4 Mobile is that they think some special mobile app is required for that. They think maybe some special MT4 Mobile plug-in is required or something like that. People think there is an app that they need to install onto their mobile device, but actually, that is not the case. It is not like that. Actually, when I think more about this, if a mobile app would act as a trade copier it would not be reliable. You probably know how many times the mobile device can lose internet connection or any app might run into problems when someone calls you. I doubt that you can have your mobile device connected to an internet 24 hours a day for weeks or months. So that just would be an unreliable solution. Now watch closely how I explain this copy trading setup and you will see that it is a much more reliable solution than running an app on your mobile. So let’s take a look at what we have there. I have drawn a mind map to illustrate how this can be set up and it’s not just my imagination or suggestion. This is a real setup that my clients are using and it works. In this example, we have 4x VPS servers. Server A, B, C, and D. Then we have a laptop, office PC, MAC, Android device, iPad and an iPhone. The MT4 platform can work on all of these machines and devices. Before you can start replicating trades from your MT4 Mobile to other accounts you need to setup MT4 master and MT4 slave accounts with the trade copier software on the VPS server or on your personal computer. So this is the first tool we need for this to work. A VPS server or a personal computer. If you do not know what a VPS server is I will explain it in the most simple way. VPS is the Virtual Private Server. In other words, it is your virtual computer on the Internet that runs 24 hours a day every day, it has an Internet connection at all times and you can connect and operate that server anytime from anywhere in the world. You can rent a VPS server from a hosting company or your Forex broker and I know some brokers are even giving this for free to their customers. So, in other words, a VPS server in this example is your additional virtual computer on the Internet with a Windows operating system. So because VPS runs 24 hours a day it allows you to have MT4 platforms running 24 hours a day as well. And because a VPS server is somewhere on the Internet you can shut down your personal computer anytime and those MT4 platforms will still be running. In other words, this tool allows you to have MT4 terminals running at all times and this is exactly what we need in order to replicate the trading actions between multiple accounts. And MT4 platform is the second tool that we need to make this trade copying possible. 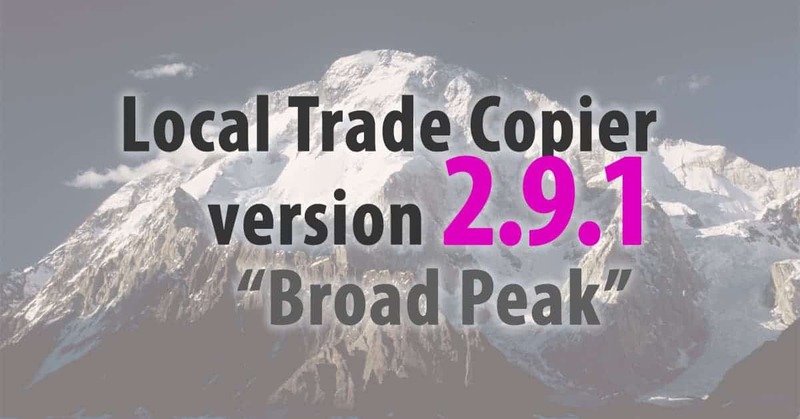 The 3rd tool we need for this to work is a Local Trade Copier software which must be installed on to each MT4 account you will use in this copy trading campaign. LTC software is like a special plugin for the MT4 platform and it is completely safe and legal to use it. So let’s take a look at this setup closer. We will start with the first VPS server A. What we have here is one MT4 master account #1 and 5x MT4 slave accounts #1, #2, #3, #4 and #5. The master account has an LTC Server EA attached to it, and it’s a part of the Local Trade Copier software. It will monitor the account and when any trading action is performed it will convert into a trading signal and send this to the client accounts. Now those 5 client accounts have an LTC Client EA attached, and that is another part of the Local Trade Copier software. So it means this Server EA will send signals from that master account to these 5 slave accounts and all of these accounts will repeat the same trading actions. It can be a new trade opened or an existing trade updated or closed. In other words no matter how and when you trade the trade copier will replicate all this in other accounts. Now let me explain what is a master account and what is a slave account. How you make an MT4 account become a master or a slave. It depends which Local Trade Copier EA you will attach to the MT4 platform. If you attach a Server EA then this account will act as a master account, because Server EA will be sending the signals. If you attach a Client EA then this account will act as a slave account, because Client EA will be receiving the signals. You can also have a slave account to become a master account for another group of slave accounts, but that is another topic and much more advanced setup that I will explain in other videos. So back to our example. What happens in such setup is that any trading action that happens on that master account #1 will be replicated to other slave accounts running on the same VPS. And the most important part here to understand is that you can log in to that master account #1 from any other device and execute trades from there. It means you can log in to the same account from your MT4 Mobile app or from your PC in the office. So what will happen in such case is that when you open, update or close a position in that master account #1 from another device it will immediately with a zero delay become visible in all other instances of that master account #1 running on any of your devices. MetaTrader allows to use such setup and it is completely safe so there is nothing to worry about that. You won’t have any trouble with this. So let me explain what happens next. Let’s say you open a new position from your MT4 Mobile app on the master account #1. This position immediately becomes visible on the VPS Server #A where you have the same master account #1 running. Now, this account has Server EA attached and this app will now take that position and send a trading signal to all of the MT4 slave accounts running on the same computer. So what happens is that all MT4 accounts that have Client EA running will receive that trading signal and open the same Forex position. This happens in less than a second and it means no matter how many client accounts you have in your trade copying campaign they will all open the same position in less than one second. Now let’s take a look at other VPS servers. The VPS Server #B has the same MT4 master account #1 running with the LTC Server EA attached. Also there are other 5x MT4 slave accounts #6, #7, #8, #9 and #10. So this means that another group of 5 client accounts will have trades replicated from the same master account #1. Very important to understand that we use the same master account #1 here. Obviously, we could use another master account if we needed to, but in this example, I am just illustrating how you can copy trades from a single master account to many client accounts while trading on your MT4 Mobile app. So in fact, the VPS Servers #C and #D also have the same master account #1 running, but each of them has different groups of 5 client accounts. VPS #C has client accounts #11, #12, #13, #14 and #15, while VPS #D has client accounts #16, #17 #18, #19 and #20. So this is basically our whole copy trading campaign on multiple MT4 accounts in which we are duplicating trades from a single master account to 20x client accounts. We do this on 4x VPS servers and anytime you have more clients signing up for your service you just get additional VPS servers and add MT4 platforms there. An important piece of this puzzle here is that each VPS server must have the same MT4 master account running and this is how you copy trades from that one master account to many client accounts. I know I have already said this a few times, but I keep repeating so you understand it well. If you get more powerful VPS servers you can have 10x or 20x MT4 platforms per server. It is up to you how you will set this up. I would normally check what the CPU processor load of the VPS is and when it reaches about 70% – 80% I would set up an additional VPS server for new clients. Why use many VPS servers? You might ask why I illustrate this in a way that all 20 client accounts are split between 4x VPS servers. Why not rent one VPS server that can handle 20+ clients and just use that? There are two main reasons for that. First, VPS server which can handle 20+ MT4 accounts would cost much more than a VPS server that can handle 5x MT4 accounts. And if you are just starting your career as a Forex money manager you might want to keep your expenses as low as possible. Of course, if you already have 20+ clients and you can afford to get an expensive and powerful enough VPS server or just get multiple VPS servers that is completely fine. But when you just start you will usually have no clients at all or have just 1 or 2 of them. So there is no point to rent an expensive VPS server for just a few MT4 platforms. The second reason why having all MT4 accounts in one VPS server might be a bad idea, is that when a VPS server goes down all accounts will stop copying trades. Although this happens very rarely, there still is a chance that this will happen. Now if you have 4x VPS servers and one of them goes down, in our example only 5x client accounts will stop copying trades while other 15 will continue to work. When you have such copy trading campaign in place you can now copy trades basically from any other device that allows you to run the MT4 platform. For example when you go on a trip and you have your laptop with you. All you need is Internet connection and MT4 platform. You would log in to the same MT4 master account #1, that you have running on your VPS servers already, and once you perform a trading action it will be replicated immediately. This happens because your MT4 platforms are already in place and running on your VPS server with the LTC software. And because those MT4 are already in place you do not need to run any of those client accounts anywhere else. What you need now is just your MT4 master account #1 where you will do your trading as you would normally do. This is the source of trading signals for all slave accounts on those VPS servers. So you do not need to run MT4 slave accounts on MT4 Mobile or your laptop, they are already running on the VPS servers. You can have the same MT4 master account #1 running on many other devices at the same time too. You can have it on your office PC, and if you are using MAC, there is an MT4 version for MAC (not sure if all brokers support that, but I know there are ways to run MT4 on a MAC too). And you can also have your MT4 Mobile on your iPhone, iPad or Android device and once you log in to the same master account #1 you will be able to see the trades in there and manage them too. So this gives you a complete freedom and you can trade Forex from anywhere you want while all your positions can be automatically replicated to the accounts of your clients. With such copy trading setup, you can become the next Forex money manager on the road. And this is the real deal, I have real customers who travel and one week they are trading from India, the next week they are trading from China or Singapore and another week they are in the United States. Now, let’s take a look closer to what exactly happens when you open a new position on MT4 Mobile while you have those VPS Servers in place with your trade copying setup. When you open a new position or basically do any other action on currently open positions, the same updated trades list gets immediately visible in all of the instances of that master account #1. At this point, Server EA running on those 4x VPS servers will immediately send these updates to their group of clients. Note that all this happens at the same time and in just a matter of milliseconds. Normally it happens in less than a second. Of course, you can have multiple master accounts in this scenario, but in this example, I just used one master account to make it simple. Another thing to mention is that you might log in to your master account #1 on those VPS servers using only MT4 investor password. For those who do not know what that is, it is the password that gives a read-only access to the MT4 account. Every MT4 account can have two passwords: the main password and an investor password. If you hire someone to setup VPS servers for you and install MT4 platforms with the trade copier software you might give them only investor password to avoid any trouble. This way they won’t be able to perform any trading operations on your master account and your account will be completely safe. However, keep in mind that you will have to use the main MT4 password on those devices where you will be actually trading in your account. Also, I would like to mention that you can do this without a VPS Server as well. If you just starting and you do not have many clients you might simply install the multiple MT4 platforms on your home or office computer and setup LTC software in there. You would need to keep your computer together with those MT4 platforms running at all times, or at least when you are trading the markets and have open positions. In such case, you do not need to rent a VPS server. Normally home or office computers are quite powerful, more than what you get from a cheap VPS server, so you might be able to run more MT4 platforms that way. Basically, all MT4 accounts can be used with LTC software and in such scenario, I have just explained. There might be few exceptions from a small Forex broker that do not allow to use EA’s, but hundreds of major Forex brokers will not have any restrictions to that. Also, accounts can be of any size. The software will take care of that and you even have a choice between using 4 money management options in each Client EA. Great article! This is something I am looking into doing down the line. My question is….if I am trading for multiple clients under one Master account, how can I control the position sizing for the individual slave accounts? For an example, on my Master account I place A trade with a position for 2 full lots, but that position would be too large on a smaller slave account. thank you for your interest. The position sizing will be taken care of by the Local Trade Copier software even if you have bigger or smaller accounts. There are 4 risk options to choose from and by default LTC copier is set to operate in a way to lower or rise the lot size on the client accounts according to their account size, available account equity to be exact. Hey can you recommend a VPS that allows me to buy under the $10 monthly commitment? ps I’m not a fund manager. It is my threshold doesn’t allow me to trade with more than $1k. I can get 100% within the 10 months period on a $1k account. But when I increase the trading capital to $5k I flop. So I thought of opening 9 slave account funded with $1k than use them to copy my master account. In this way I have $10k trading capital but because I only see my master account. I don’t get psychology block on the size. you could look at this list of VPS recommended for Forex traders. Anyway, worth trying if you feel this will help you. Is license needed to use this system in USA? As far as I know license is not needed, but you should consult with your lawyer if you have doubts. I only have an investor password and a while ago I lost contact with the owner of the account. Is it possible to copy this way? what if the account can’t login from the mt4 windows, however it’s only available to login on mt4 android? why this account is odd, the broker is already out from market, but this account is still running on their server? and you can only login from mt4 android. is it possible to copy? My guess is that is a scam account. Better stay away. Does your software support mt5 accounts? Luis, Local Trade Copier works on MT4 only like I explain on my website. Greetings, just so I’m clear, I can get an mt4 trade copier on my IPad without any license? MT4 on iPad or any other mobile device does not allow running Expert Advisor. So the answer is no, you cannot have trade copier on iPad. But you can have trade copier running on the same MT4 account on a VPS server and then you can control trades from your iPad.